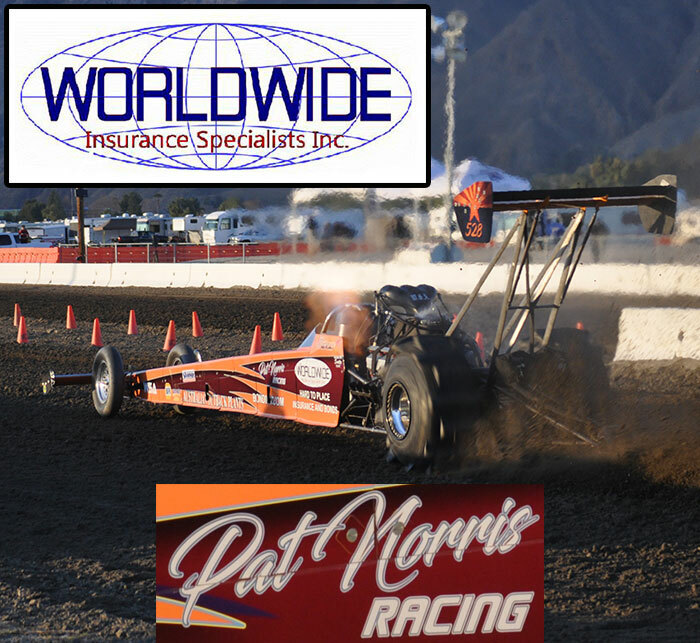 The 2009 NSDA season got off to a fast start at the Cocopah Casino & Resort in Yuma, AZ with new world records being set and lots of great racing action. Let’s take a look back in photos at this event with images from our friends at C3 Productions, www.c3productions.net or http://www.myspace.com/c3productionsphotos. Dome Valley Raceway in Wellton, AZ sent over a flyer for their upcoming Winter ATV Sand Drag Shootout. Click “Read More” to view their event flyer. The first race of the 2009 NSDA series is complete after a great weekend of racing at the Cocopah Casino & Resort in Yuma, AZ. Defending NSDA Top Fuel champ Scott Whipple stayed on top of the pack with a win in the Top Fuel class. Gary Mink finished off a perfect weekend with a Top Alcohol class win to accompany his Top Alcohol ET World Record. Tiffany Januik emerged victorious in the ultra competitive Top Eliminator category. Winners in other Sunday competition were Craig Durning (Pro 1), Todd Kinney (Pro 2), Jose Beas (Pro 3), Ryan Winkle (Motorcycle Pro 1), and Brad Deforest (Motorcycle Pro 2). The 2009 sand drag racing season is off to a fast start, literally. The Dome Valley Raceway Season Starter event saw some great passes, including a new track record run of 2.410 by Geoff Gill in the Gill Bettencourt Motorsports Top Fueler. Geoff went on to win the class over Dennis Rieck, who was also in the 2.4 zone. One of the bigger stories of the event was Matt Ludlow in the Coldwater Kid Top Fuel car breaking into the 2.4 range with a 2.47. The Top Fuel class appears stronger than ever. Beyond that, there was some great Top Eliminator and bracket class racing at this event. If this is any indication of what lies ahead in 2009, we are in for a great season. 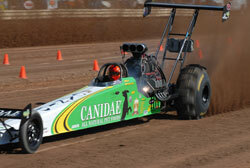 NSDN learned recently of the passing of a member of the sand drag family. 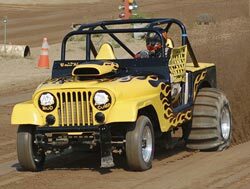 Jim Blair, of Phoenix AZ, was a long time racer at the wheel of his sand drag buggy. Jim most recently had competed in NSDA competition in the Pro 2 and Sportsman 1 classes at the Primm, NV and Yuma, AZ events. NSDN sends out our condolences to the Blair Family. R.I.P. Jim.